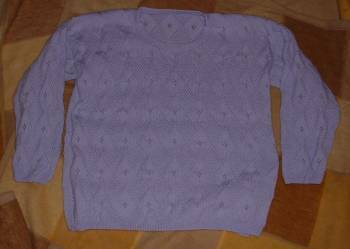 Finally made up my lilac jumper. I finished it at the end of Summer but never stitched it up. Also finished the body of my "make it up as you go" fairisle. 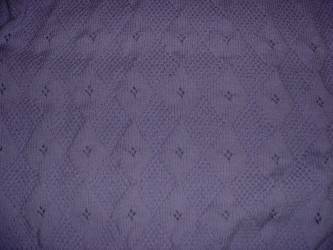 It is a funny shape at the moment because I have not cut the arm, front or neck steeks. I was raring to go on picking up and knitting the sleeves until I realised I didn't have the right size circular. I can't get to a shop until Tuesday. Fran, the knitting is really good. 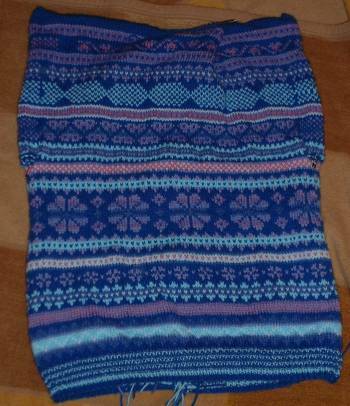 The blue jumper is a lovely pattern and I will be interested to see the fairisle when it is finished. Carry on, well done !